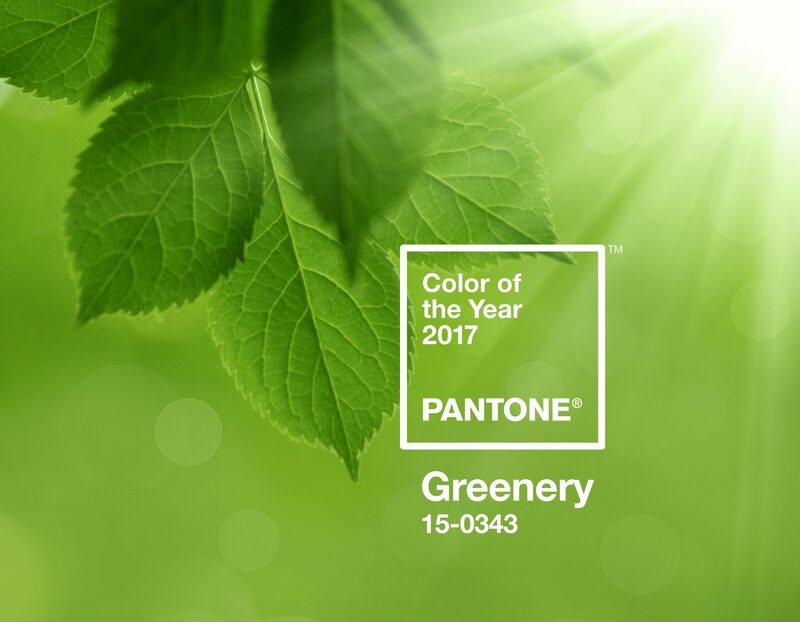 PANTONE Colour Institute has officially announced the Colour of the Year: 2017 will be the year of Greenery (15-0343 TCX). The company’s annual contribution to cultural conversation, last year’s Colour of the Year saw a surprising two shades selected – Rose Quartz & Serenity. Showcasing the inherent balance between a warmer embracing rose tone and the cooler tranquil blue, last year’s colours reflected connection, wellness and a soothing sense of order and peace. The prevalent combination of Rose Quartz and Serenity also challenged the traditional perceptions of gendered colour association. This year, PANTONE have gone back to their roots with just one colour. Greenery can only be described as a fresh and zesty yellow green shade that evokes the versatility and beauty of Mother Nature. It’s assertive, vibrant and reminds us to eat our fruit and veg! PANTONE often use their Colour of the Year as a metaphorical representation of global mood. This year they have chosen the colour of matcha and Granny Smith apples. We think it’s bold, life-affirming and a fantastic choice for 2017. Conjuring images of foliage, grass, growing plants, trees, lush meadows and clinging vines, it seems that PANTONE are looking to use the colour green as a representation for new beginnings, optimism, youth and growth. Let us know your thoughts on this year’s choice via Twitter/Facebook/Instagram and tell us what’s making you feel inspired for 2017!